We recommend popping to Julia’s House Children’s Hospice as Flooring Direct has recently finished fitting luxury vinyl tile English Oak Grege in the entrance and reception areas, transforming the hospice entirely. Thanks to donations from a special refurbishment fund, the tired-looking entrance hall has had a real spruce up – and the result is amazing. Instead of plain, painted walls, visitors will now be greeted by a superb Jurassic wrap-around mural and a Jurassic sea mosaic complete with plesiosaur and ammonites. 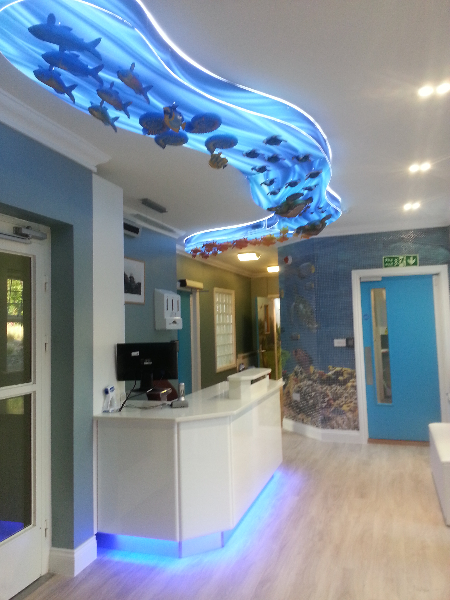 There is also a bespoke ceiling light of animals swimming in a river which lights up at different times. 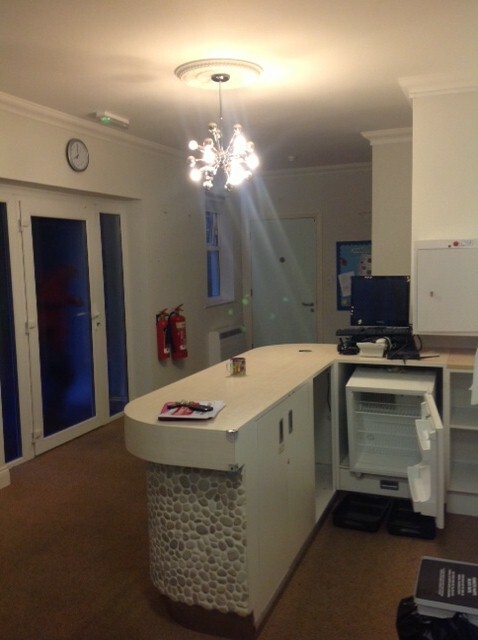 The project was paid for by the Thomas Cook Children’s Charity which invited children’s hospices around the UK to apply for funding for refurbishment projects.